I am so excited for today’s post! 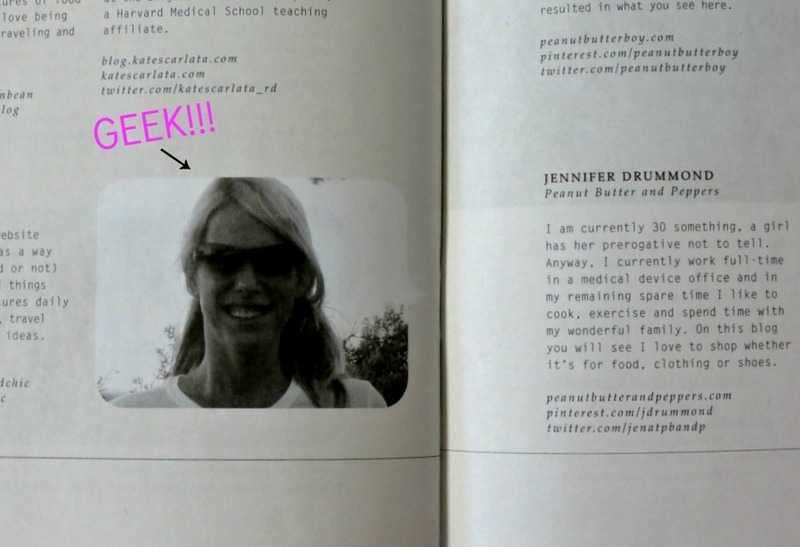 I got the most exciting news, I am in a cookbook!! Me! My recipe, my recipe photo and my picture in a book! I am so proud! Not just because I’m in a cookbook, but because it’s a cookbook that is something I strongly believe in. I’ll give you a guess! It’s PEANUTS! 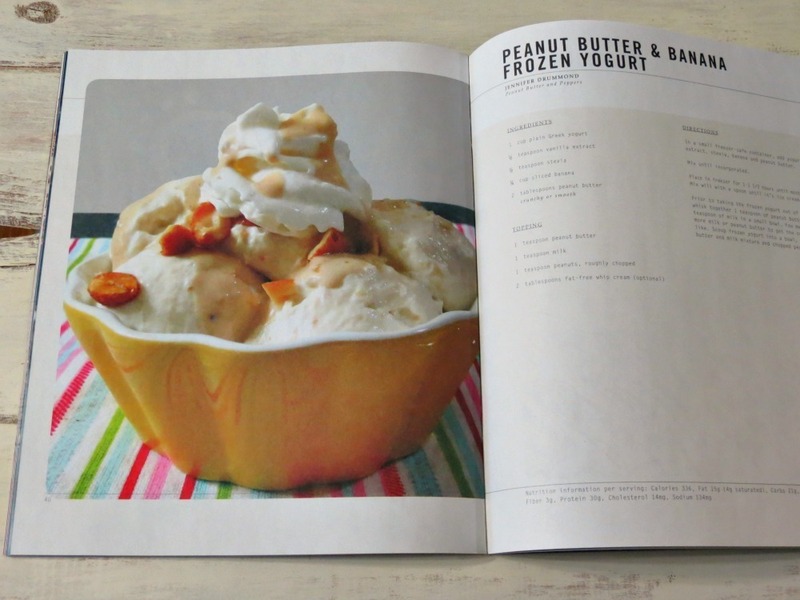 I guess you can tell from my recipes and my blog name I love peanut butter! LOVE it!!! If I could have a stronger word for love, I would use it!! When I came home from work Thursday I had a package on my porch and when I opened it I got all of this from the National Peanut Board!! Then there it was! The Cookbook!! This cookbook has all the facts on my beloved little nut. Did you know that peanuts give you long-term energy? Skip the soda and have a hand full of peanuts! For a 1/4 cup of peanuts you get 7 grams of protein, 2 grams of fiber and more than 30 vitamins and nutrients! Not to mention it’s considered a Super Food!!! Can you see why I love peanuts? Plus they are so tasty and so versatile! 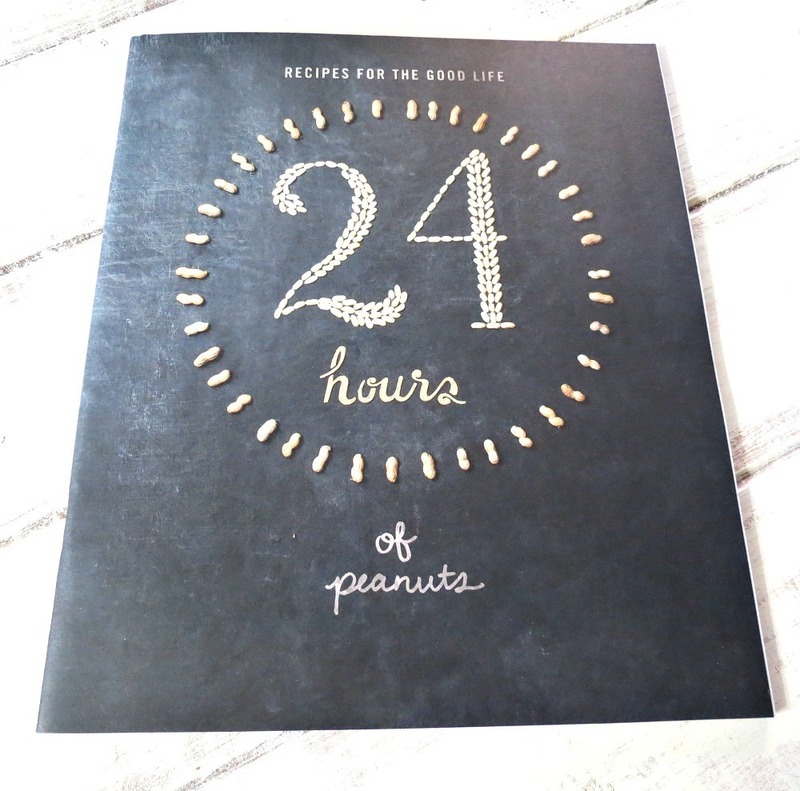 It’s amazing to what kind of recipes you can use peanuts in from sweet desserts, to savory dishes and this cookbook has them all! There is not one day that goes by that I don’t have peanuts or peanut butter! It’s a must in my life.!!! 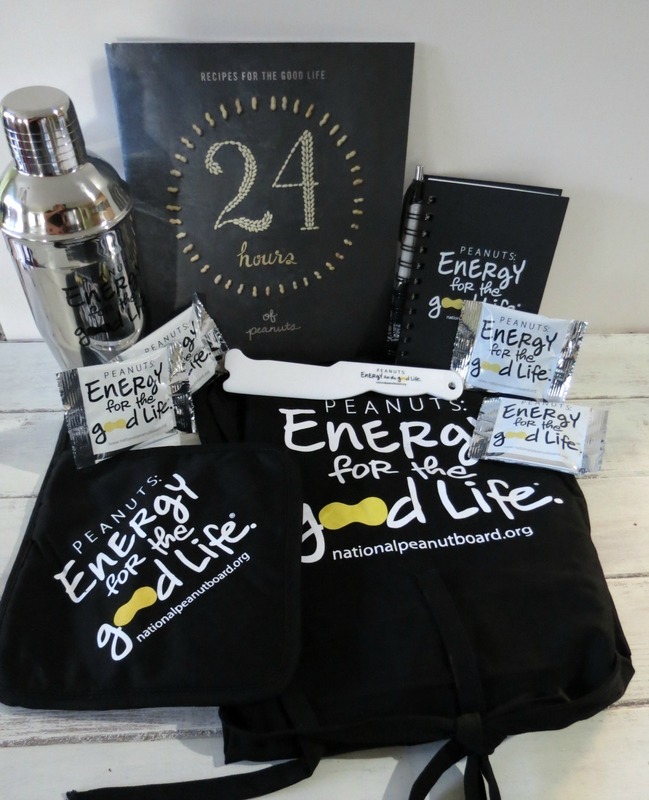 I am really proud to be apart of the 24/7 Energy Recipe Resource project with other wonderful peanut lover bloggers!! It’s truly an honor to be able to share my love of peanut butter with others. I had no idea they were putting my picture in the book, so they took one from my blog and let me tell you, it’s not the prettiest picture. It’s me, in pigtails, sunglasses as I was hiking! But I did have my trail mix with me, that did include peanuts. Want to see my picture? Ok, they didn’t put geek on it! lol!! I’m just being goofy!! Really, I am soooooooooo excited! You have no idea! This has made my year! 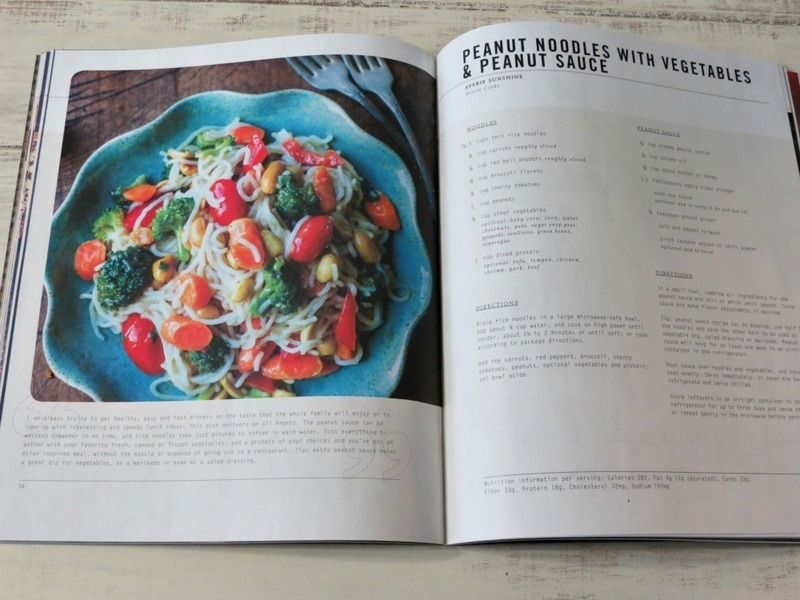 I can’t wait to share the cookbook with my friends and family, plus I can’t wait to try out some new Peanut recipes! I’ll be sharing them with you!! I already lined up a few that is going to be in my weekly meal plan in the next couple of weeks, like this one from my blogging Friend Averie from Averie Cooks. So are you ready for the giveaway? You see that little package I got in the first photo? Well they sent me an extra one just for one of my readers!! This is what you get!! 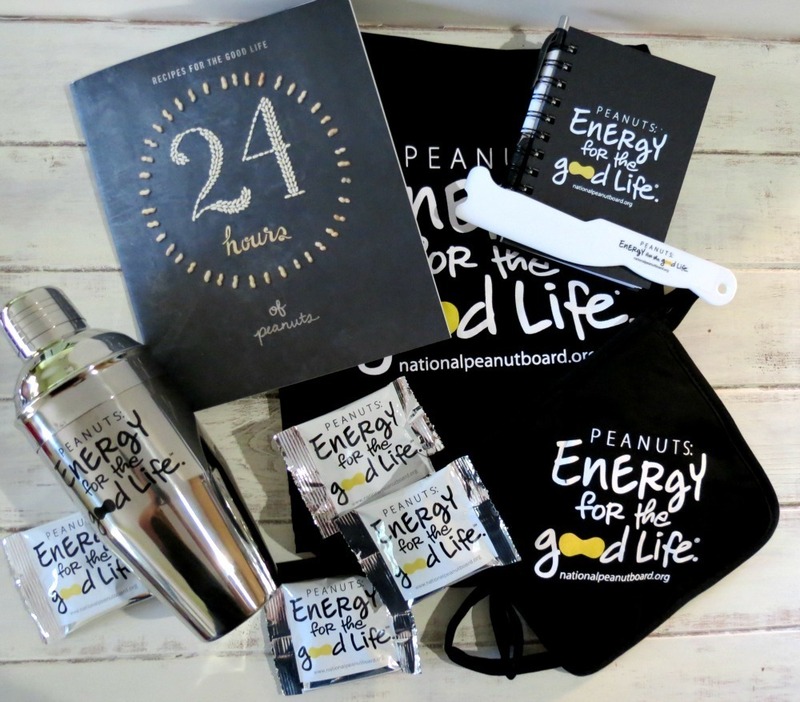 To win all you have to do is tell me your all time favorite peanut recipe or favorite recipe in general, and if you have it posted on your blog, link it up!! For extra entries: Just be sure you tell me you did so. By the way you should check out the National Peanut Butter Board for more peanut information, plus it has a ton of tasty looking recipes!!! I’ll announce the winner on Wednesday! This week, I won’t post any links. I really didn’t see any that I wanted to share, so instead I am going to give you my weekly recap!! Sunday: Skinny Cinnamon Dolce Frappe #SundaySupper – This is my latest coffee drink and a good one I must admit. 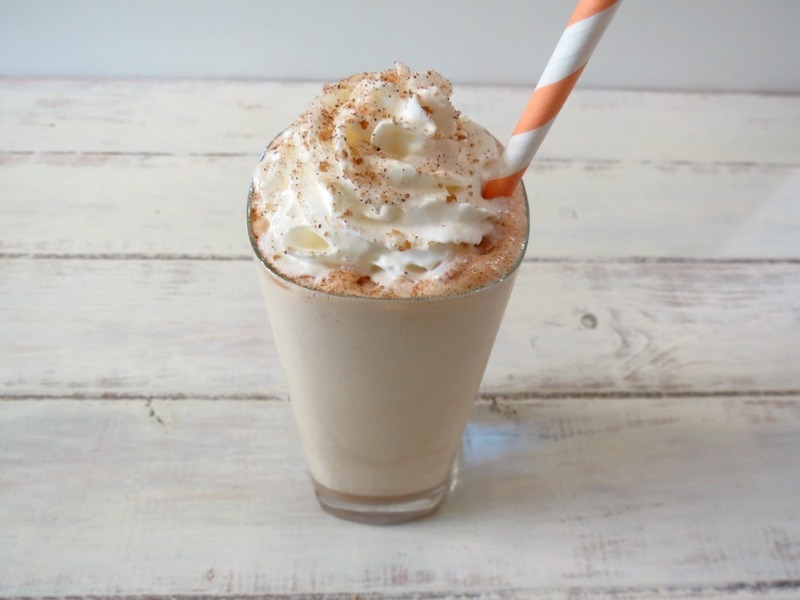 I am on a cinnamon kick this week and this recipe was perfect to satisfy my cinnamon and coffee cravings, plus it’s refreshing since we had a few hot days this week! Yah! I think Spring has finally sprung! 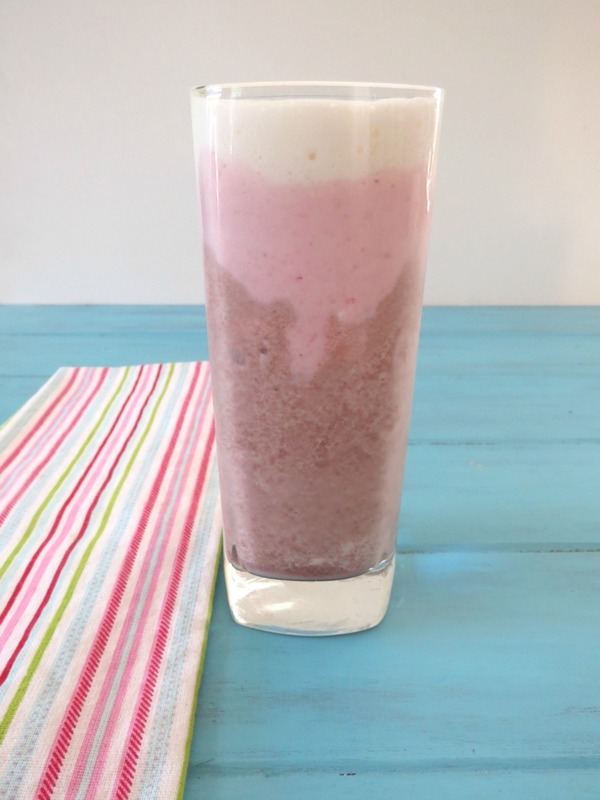 Monday: Neapolitan Smoothie – This was my Saturday night thought and I couldn’t wait to put it together for you and me! It has all the flavors of the ever so famous Neapolitan Ice Cream. It’s made with vanilla protein powder, frozen strawberries and cocoa powder. So good!! it really satisfies your ice cream craving! 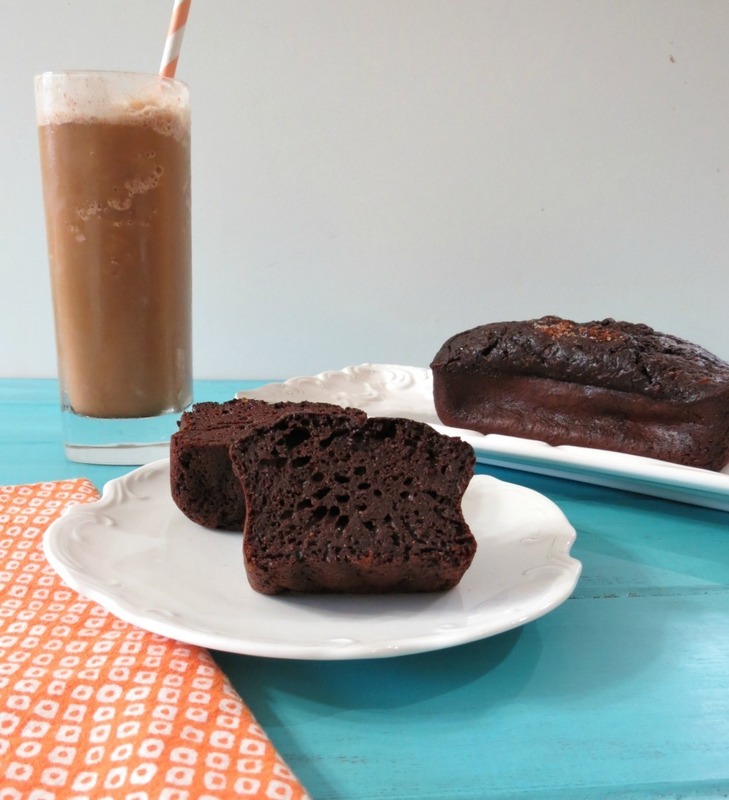 Tuesday: Cinnamon Chip Bread, Starbucks Copycat Recipe – LOVE this bread! I got this recipe straight from SB’s website. Did you know they won’t be carrying this bread anymore? They actually won’t be carrying most of their products that we have all loved to drool over in their cases. Now they will be carrying La Boulange Bakery baked goods. I already saw them and they are cute little pastries. I’m in trouble! The treats will be more savory then sweet, but trust me there will be a lot of sweet. I can’t wait to see what I can copy next! 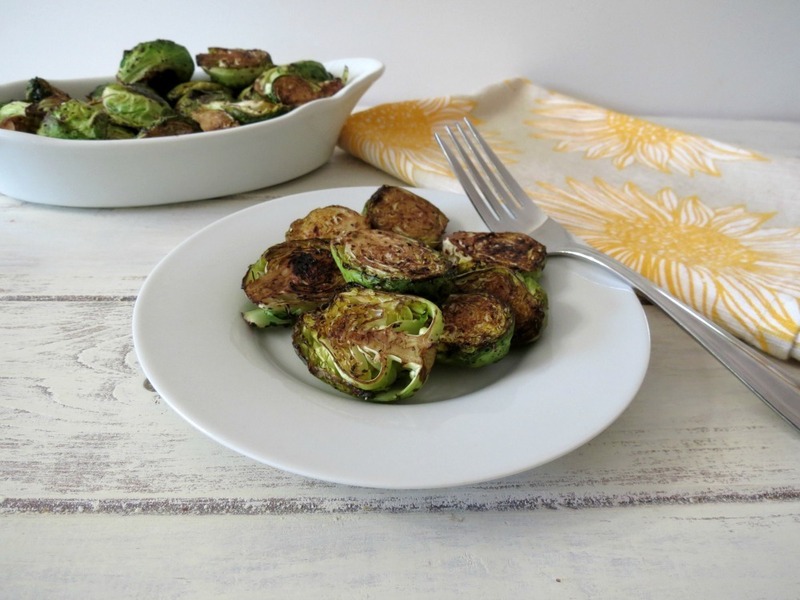 Wednesday: Oven Roasted Brussels Sprouts with Balsamic Glaze – This was a hit with me this week and you too! A lot of people pinned this recipe. I am happy to know their are Brussels Sprout fans out there! Thursday: Banana Almond Breakfast Cookies – I am loving these cookies! I have snacked on them all week! Perfect for some nice energy, full of good nutrients, easy to make and vegan too!! 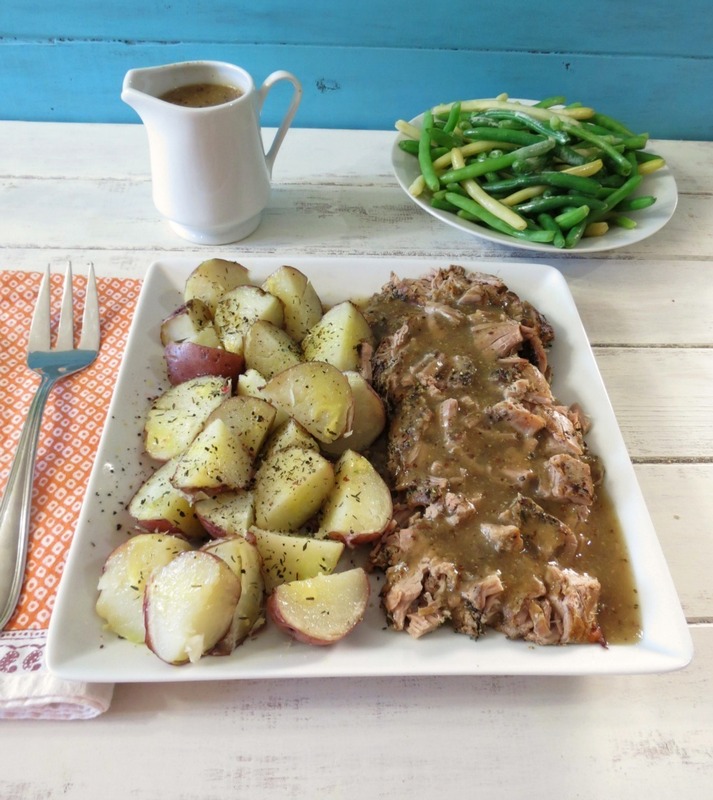 Friday: Pork Tenderloin with Savory Apple Gravy – Like I posted yesterday I have made this recipe every week for three weeks! My Husband just loves it!! It’s one of his newest requested meals. I love it too and I love that it can be made in a Crockpot! It makes life so much easier! Have a great Saturday!! Don’t forget to enter my giveaway! P.S. This weeks craving is Peanut Butter Cookie Hummus. All this peanut butter talk has me craving it!!! My all time favorite recipe is Jansson’s Frestelse! It’s a Swedish baked dish consisting of potatoes, cream, anchovies and onions! So comforting! Follow you on pinterest and repinned this! Our fave recipe currently is Chicken Marsala over rice. The flavor comes across a winner everytime and it can be made from scratch with few ingredients in the time it takes for the rice to cook. My current favorite recipe is barley risotto with marinated feta from the Jerusalem cookbook! It is to die for! Congrats on the cookbook feature- that is so exciting!!! I follow you and the National Peanut Board on Twitter. I follow you and the national peanut board on Facebook. I follow the National Peanut Board on Pinterest. Okay a whole book full of PEANUT recipes?!? WHat could be better!!! My favorite recipe…hmmm…I just love a good old-fashioned mac and cheese! That’s amazing! Congrats! Oooh I love peanuts!!! I already follow you on FB. I have shared this giveaway and many of your recipes. I follow a bunch of your Pinterest boards and repinned the peanut butter, honey & oat bars! My family loves the Peanut Butter Cookie Hummus!!! I am an email subscriber of peanut butter and peppers. My favorite peanut butter recipe is a frozen peanut butter pie from Cooking Light! Congratulations on your new found fame – published in a cookbook, well done!! I favorite recipe is homemade white bread coverd in peanut butter! My favorite peanut dish is more or less a snack, depends on how much you eat in a sitting. Its my Grandma’s recipe for peanut brittle, I make it often but it never turns out as good as hers. I get your emails at [email protected]. I follow you both on Twitter, @FireRunner2379. I tweeted a link: https://twitter.com/FireRunner2379/status/323164501333655554. I follow you on Pinterest and pinned your Spicy Breaded Sweet Potato Fries. Favorite Recipe of all time with peanuts… Chocolate Covered Katie’s Chocolate Chip Cookie Dough Dip (the peanut butter makes it). I actually finished off an entire bowl of it with graham crackers and pretzels with my roommate. Favorite peanut butter recipe: my moms peanut butter cookies. I make them whenever I want the kitchen to smell like my childhood. Yumm now I’m craving some. I love all things peanut…but my favorite peanut recipe is homeade peanut butter or cookies! yum!! Wow, all time favorite peanut recipe! Hmmm. I probably love peanuts/peanut butter as much as you. I love it in my daily banana protein smoothies. I love it just by the spoonful or on apples and carrots. First recipe I thought about when you said favorite pb recipe was these cookies–http://www.bakingandboys.com/2009/03/my-favorite-cookie-banana-peanut-butter.html Banana Peanut Butter Cup Cookies. Already following you on Twitter, now following National Peanut Board. Already follow you on FB, now following National Peanut Board on FB, too. Already following you on Pinterest. I pinned the Banana Almond Breakfast Cookies. I’m now following the National Peanut Board on Pinterest. our favorite recipe roght now is cheesecake!!! my favorite is an old classic peanut butter cookie. though i am looking for a good whole grain version is you should happen to have one. congrats on being selected to be in such an awesome sounding cookbook. I follow Peanut Butter and Peppers on Facebook! I follow National Peanut Board on Facebook! My favorite peanut butter recipe pretty much would be anything involving peanut butter, chocolate, and bananas…cookies, cupcakes, brownies, cake, whatever! Congrats on being in the book! I think I’m in it, too? I worked with Jewell and she was supposed to get me a copy. But so exciting for you and love the recipe of yours they chose! Your in the book!! I have your recipe/page on my page silly!! Congrats on being in the cookbook, this is a fun little giveaway! 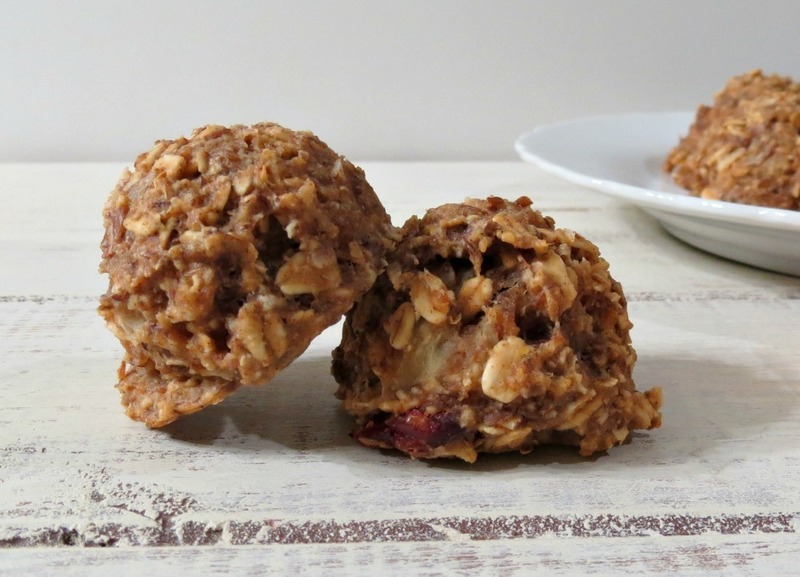 My favorite peanut butter recipe is peanut butter energy balls, I was just experimenting a little with them last week. 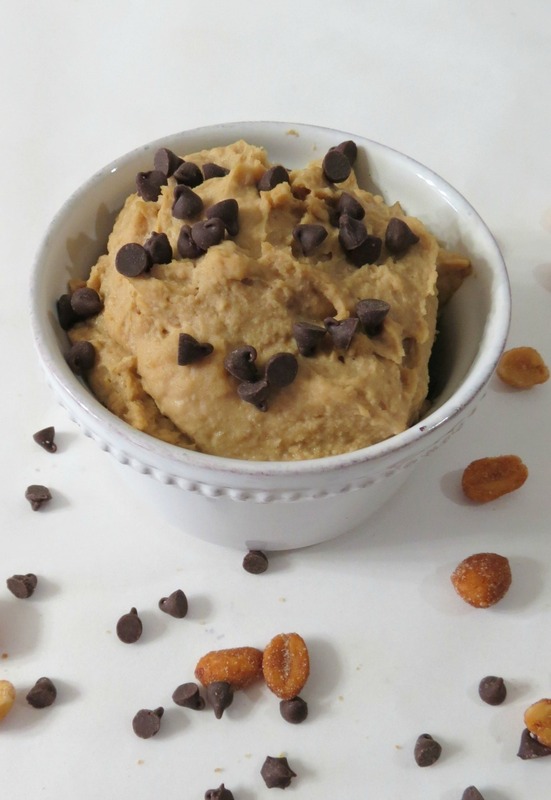 I follow you on Pinterest and reprinted chocolate chip cookie dough cashew butter! yUM! A low calorie pad Thai and of course Ezekiel cinnamon raisin toast with pb! My favorite peanut butter recipe was called Peanut Butter Cup Cake. I can’t remember the cookbook it came from, but it was one where you subscribed and were sent a certain number of recipes each month. It was soooooo rich. My dad loved peanut butter, so I made it for his birthday a couple of times. I already subscribe to email. my favorite peanut butter recipe is my peanut butter chocolate trifle. Congratulations! This is an amazing accomplishment! You must be sooooooo excited! You truly deserve it! Ahhhhhh, thanks Sophia! That means a lot coming from you! Congratulations! Your pb and b frozen yogurt looks yummy! My favorite way to eat pb is with fresh apple slices, but I’ll hafta try your frozen yogurt recipe! Thank you! I love PB with fresh apples too!! I follow pbp on Pinterest andpinned pizza muffins. I follow you on FB and on Pinterest! I love a good ole Peanut & Jelly sandwich …. does that count?